Most of my readers are familiar with the building block concept that I have been citing over and over again, so the above build sequence may actually be more helpful. Given that Legacy of the Void allows you to put down the infrastructures quicker than Heart of the Swarm, the general transition parts of the build order have been moved forward and indirectly affect how the key aspects of the build order can be highlighted. For example, if I want to be complete with the notation of the build order above, I will have to state that “@100% 2x Engineering Bay – +1/+1 upgrade” or other standard transition add-on swapping notations, which I think affects the readability of the key aspects of the build order. Therefore, from now on, if possible, I will add “simplified build sequence” as a way to highlight the key parts of the build order. If you are familiar with the building blocks, it is actually easier to remember. Let me know what you think about this addition. 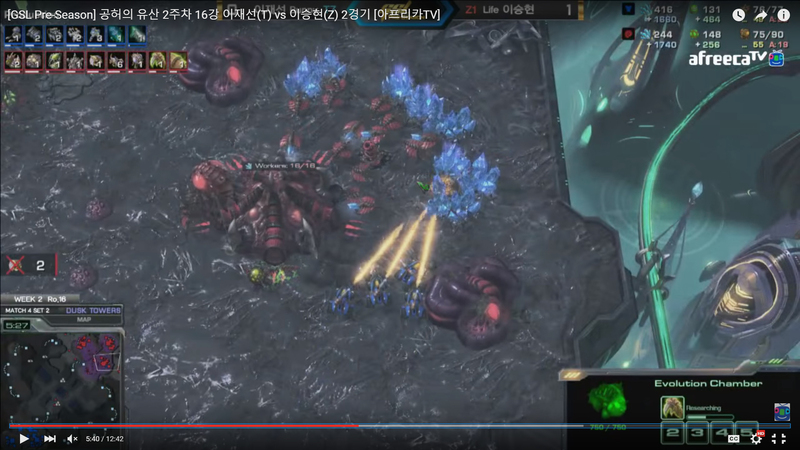 I have seen this Reactor Hellion and Reactor Liberator build on ForGG’s stream before, and it has been discussed on various forums. While the core idea is not exactly new, I find this transition into a drop effective. More importantly, the execution of the build is rather flexible. There are several planned attacking phases in the game. You should be attacking when the two Liberators are out. In the vod, Bunny made only four Hellions and the Factory was idling before he started bio transition. Subsequently, Bunny executed a two-pronged attack with the Liberators sieged up at the main base mineral line, while the four Hellions run by at the third base mineral line. The attack was actually poorly executed, but you can tell what his intention was. In my opinion, it is possible to make six Hellions and the build should still line up decently. The fourth pair of Hellions is likely to delay the Marine production which is required for the subsequent drop attack in phase 2, so six Hellions should be the optimal number. On top of simply having two more Hellions for the attack, it gives you an option to just attack the front with two Liberators and six Hellions instead of doing a two-pronged attack. The second attacking phase is the two Medivacs drop Stim. Stim is completed by the time the Marines get unloaded. As you can tell from the above printscreen, +1/+1 upgrades are almost completed when the drop landed. 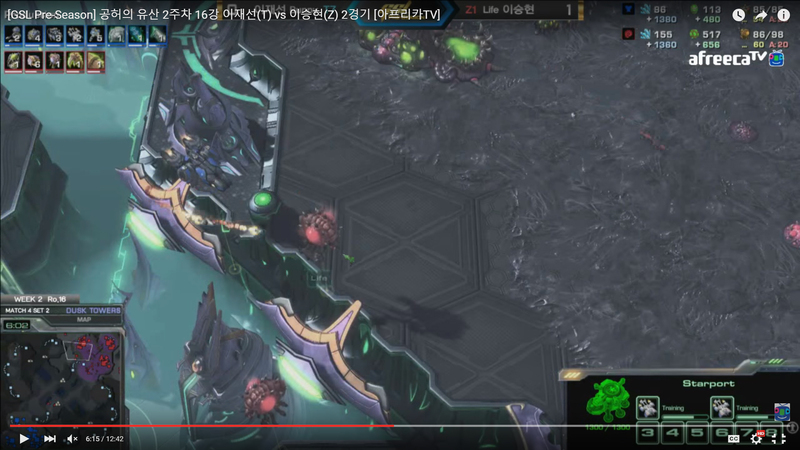 This timing attack is very powerful as it hits before Zerg have Mutalisk. Despite such early bio drop can be effective, it is rather uncommon. This is because it is not effective if Zerg are prepared and have Zerglings waiting at the unloading area. The same weakness can be applied to Hellions drop. Therefore, early bio drop is usually lined up with a Viking opening, as it helps to keep the Zerg player in the blind about the drop by killing Overlords and forcing Zerg to move Overlords into safer locations. 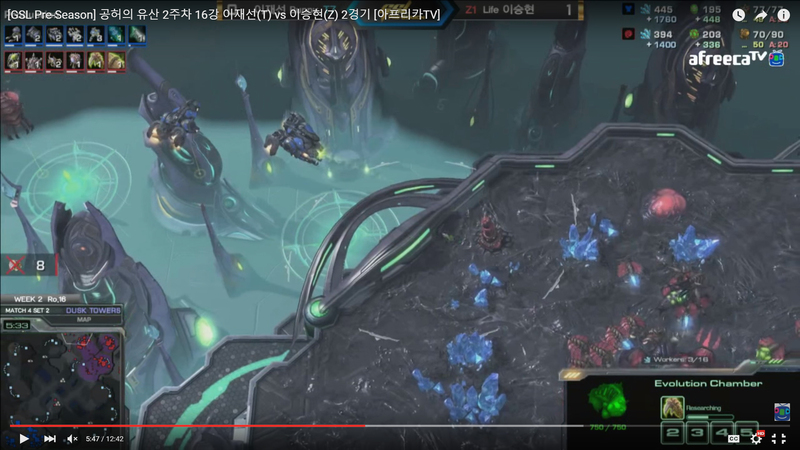 Although this opening does not have a Viking, the Liberator does have a comparable impact of forcing Zerg to move the Overlords. 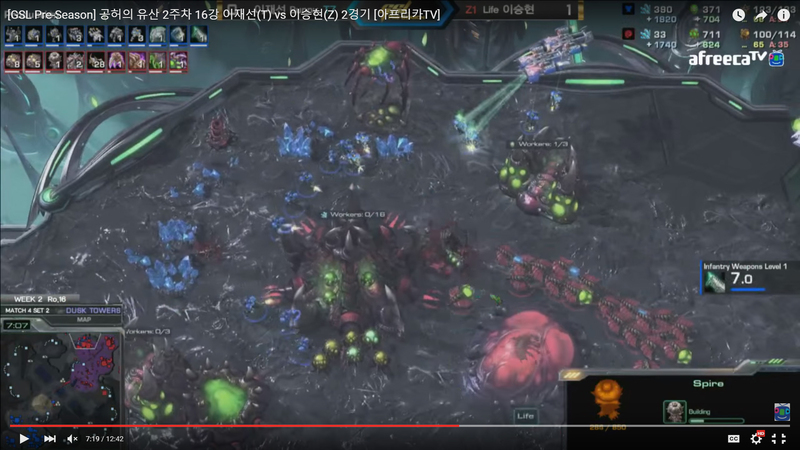 Of course, sometimes it is a matter of whether the Medivacs fly into the vision of the Overlords and get spotted by the Zerg player (you can call it luck). 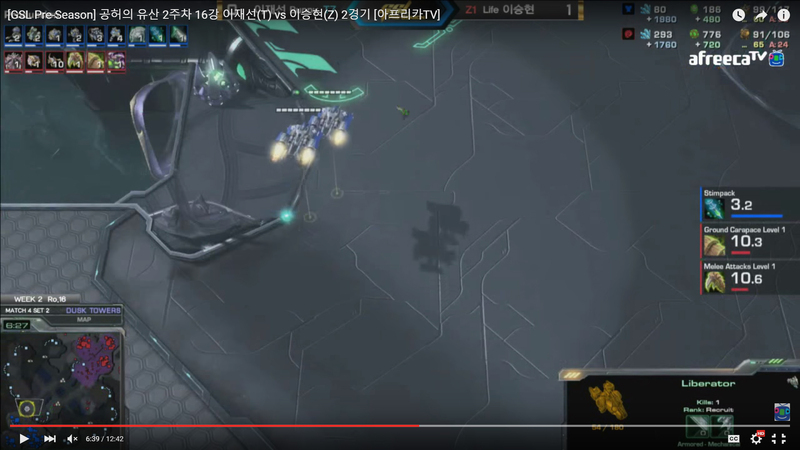 The third phase can be considered a typical TvZ movement phase rather than a planned attack. When you have enough units to go with the second pair of Medivac (constant production), you should be active with these units. You can move out to clear creep or attack whatever that is reasonable. In the vod, Bunny attacked Life’s fourth base because it is vulnerable. This looks more effective than it should be because of the earlier drop forces Life’s units and attention to be in his main base. This build requires good multi-tasking ability, and some practice. Anyway, I recommend you to add this into your build arsenal, as it is not that far off from any of the standard TvZ builds out there. 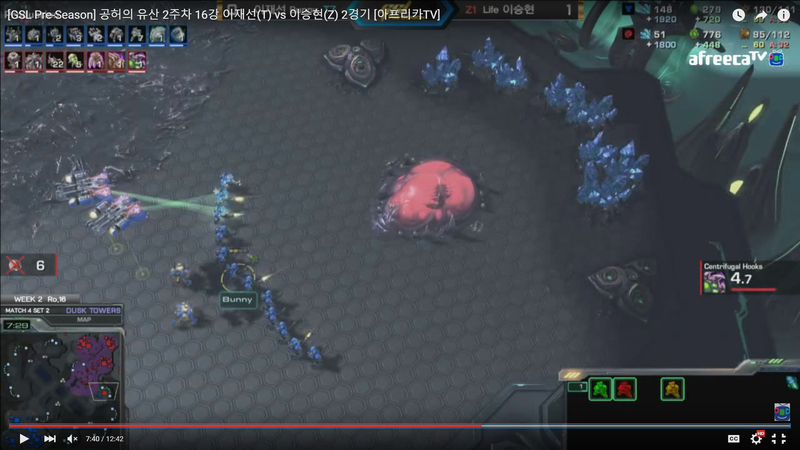 Most importantly, the uncommon attacking timing and sequence can catch Zerg off guard, and this can easily snowball to follow up attacks as you can see from the vod. Really liking the addition of a simplified build sequence! Ps lovely to see you’re from USYD. I work on campus. Good to know the simplified build sequence is helping. Are you in Sydney Collegiate Starcraft? No, I’ve always been a bit embarrassed to join as I watch far more games than I play. (I get ladder anxiety) :) Maybe I’ll join during O-Week this year. You will be surprised how few games I have played. Is this viable with an Reaper FE opening? If so, what adjustments would I make? I dont really feel safe going CC first on maps that dont have a safe natural. It goes for a cc first, and follows up with a three barracks bio with medivac and stimulating timing. I have tried this with reaper opening, and the unit supply I have is significantly lower. It drastically affects the goal of the build. Thus, with reaper opening for this liberator into drop build, you may not have the bio to load up nicely for the drop. Just my speculation. Any idea how bunny would hold a 2 base ravager push? He probably won’t be doing this if he scouted two base. 2 to 4 liberator at the ramp should do fine. do you know the timing on the 2nd gas for this build? when I rally my 21st scv to gas, my reactor seems to finish 15 seconds after my factory does. The second Refinery is at 22. It is basically SD-CC-Barracks-Refinery-Refinery whenever you can afford. The Factory is put down slightly earlier than the Reactor (both take the same time to build), so it is normal for the Factory to complete first. But the difference should be below 15 seconds. The thing is, I can afford the 2nd refinery on 19, but doing that means I have 150 gas by the time barracks finishes. Do I get the refinery as soon as I reach 22 supply or when the SCV is halfway done? The 2nd gas timing seems to change the timing of the 3rd cc dramatically, much like 15 gas expand for the 2nd cc. Indeed, there is more depth to the timing of the second gas. I may do a separate post on it after some research and testing (not back to Sydney until February).